An unreached people-do you care enough to pray? 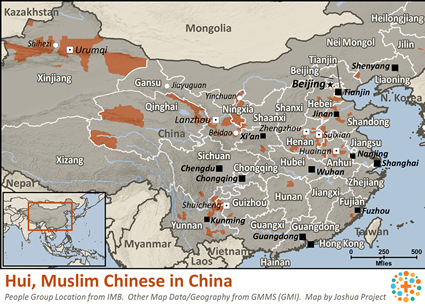 Numbering over 10 million, the Hui are the largest and most widespread of China’s Muslim nationalities, and are widely scattered throughout the country. Their ancestors are largely Arabs, Persians, and Mongols. One of the worst cases of genocide in history occurred between 1855 and 1873 when one million Hui people were massacred. They may be the largest people group in the world without a single known Christian fellowship group, although there are a few scattered believers. The Hui have a long history of strong commitment to Islam. In recent years an increasing number of Hui have traveled to Mecca for the annual Haj pilgrimage. 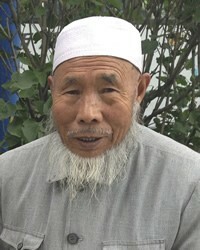 Pray the many Han Chinese believers in Jesus will desire to reach out to the Hui people. Pray the few Hui followers of Jesus will desire to find each other in order to fellowship. Pray the Spirit of Christ will protect their faith and send teachers and other helpers. 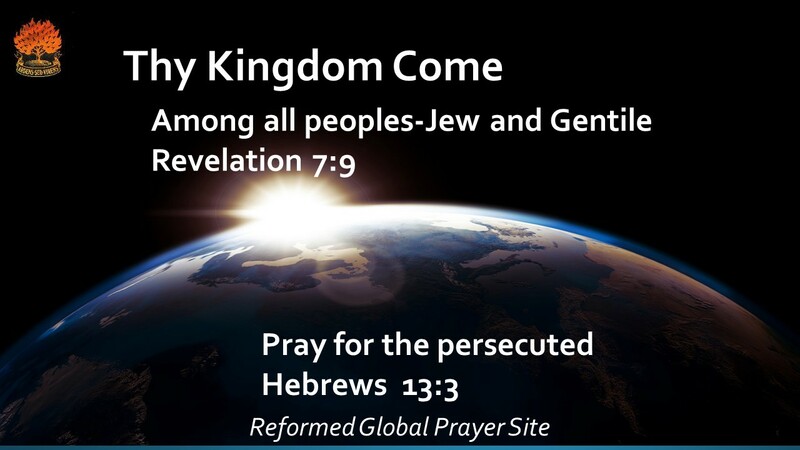 Pray the needy Hui people to increasingly be aware of their need for forgiveness of sin, and that Isa (Jesus) has been provided as a sin offering. Pray they will hunger to find out more about this Man, and that this hunger will be satisfied. This entry was posted in China, Unreached millions. Bookmark the permalink.